In capital print this classic design from Jennifer Zeuner is a perfect gift or fashion statement. 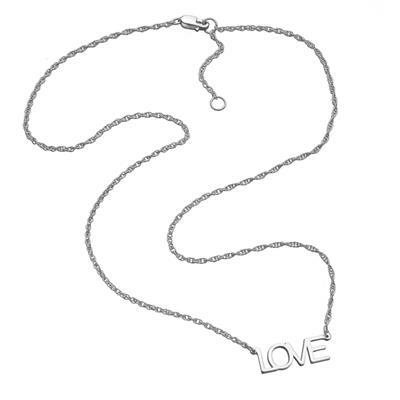 On a 15 to 16 inch rope chain the necklace hangs close to your heart, reminding you that you're loved everyday! This simple necklace looks great layered with other talismans and chains for a fresh, fashion-led look.